WE DRINK a lot of Chardonnay and Pinot Noir. By “we”, I mean all of us wine drinkers in Texas. Using Spec’s sales data, wine labeled Chardonnay is the number one selling wine category and Pinot Noir is the number three selling red wine category (number five overall). Even so, a lot of the best Chardonnay and Pinot Noir Spec’s sells is not included in those numbers as it is not labeled Chardonnay or Pinot Noir. Rather, these wines are from Burgundy – which is both the spiritual and oenological home of Chardonnay and Pinot Noir – and are named after their places of origin rather than the name of their grape variety. 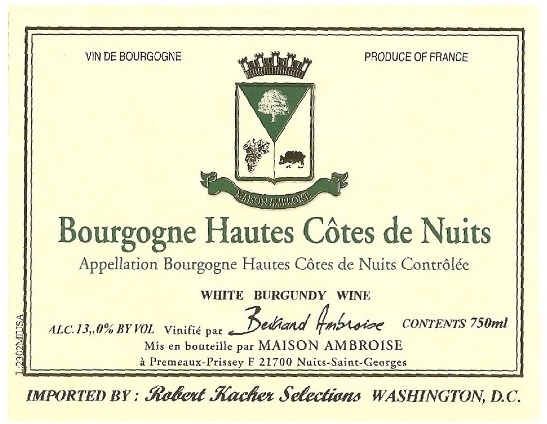 Except for tiny amounts of Aligoté, Sauvignon Blanc, Pinot Blanc, and Pinot Gris (all white) and Gamay (red), all the wines of Burgundy are either Chardonnay or Pinot Noir. For more, got to Alternative Chardonnay and Pinot Noir from SPEC’s UPDATE. This entry was posted in Chardonnay, Pinot Noir and tagged Chardonnay, Pinot Noir, Red Burgundy, White Burgundy. Bookmark the permalink.